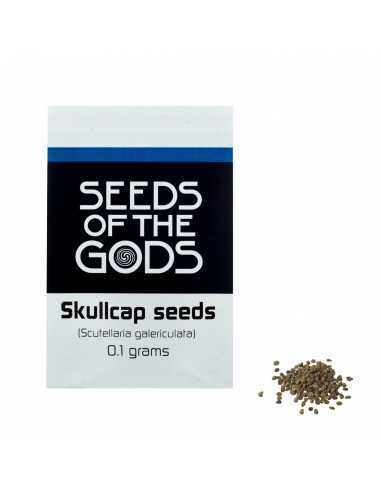 Skullcap (Scutellaria galericulata) by Seeds of the Gods belongs to the mint family. This herb is named after its blossoms, which have the shape of a human skull. The plant reaches a height of about 50 cm and is seen most often at water sides and in swamp forests. It is recommended to stratify seeds for at least a week before sowing. To stratify the seeds, place them in a sealed plastic bag with slightly moistened vermiculite. Use three times the amount of vermiculite as seeds. 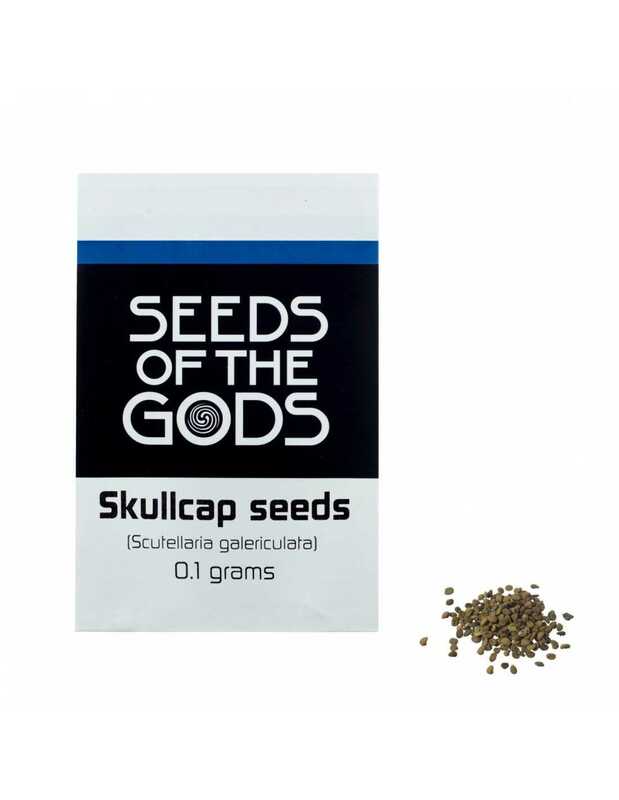 Sow skullcap plant seeds indoors, they will germinate in around two weeks time. Then transplant the growing skullcap herb seedlings outdoors after the danger of frost has passed, plant them in rows spaced 30cm apart. Aerial parts, including the flowers and leaves, should be harvested when the flowers are in full bloom. To harvest, use scissors and leave around 8 cms (3 inches) of growth. Leaves and flowers can be used as tea.